Cloghane and Brandon—a little piece of Utopia hiding on the Dingle Peninsula, as noted by The Lonely Planet. Brandon Mountain Cottage is along the Wild Atlantic Way – Ireland’s first long-distance touring route, stretching along the Atlantic coast from Donegal to West Cork. Brandon Mountain Cottage is traditional in design and furnishings but equipped with modern conveniences. The rental has 3 bedrooms with sleeping for 6. One bedroom has a King (queen in US) bed, second bedroom has a double bed and the third bedroom has a bunkbed. There is also a crib/cot available if needed. All bed linens are provided, with beds made when you arrive. The hou se is traditional in design and furnishings and updated with modern utilities. The house has central heating, a fully-equipped kitchen including kitchen towels and cloths, satellite television, oven, microwave, washer/dryer and a multi-fuel turf-burning stove/fireplace with your initial authentic turf supply included! There is one bathroom upstairs with bathtub, separate electric shower and bathing towels. The house is very private and outside there is large garden with furniture, barbeque equipment and a clothes-drying line. There is off-street parking for two cars. Cloghane is home to Bácús, a Bridgestone award-winning bakery, whose bread is sold in our local Siopa along with two other local food artisans, Maja Binder of Dingle Peninsula Cheese and Oliver Beaujouan of On the Wild Side, purveyor of pates, sausages, and terrines. Our Siopa also features honey from third-generation hives and local hen and duck eggs. 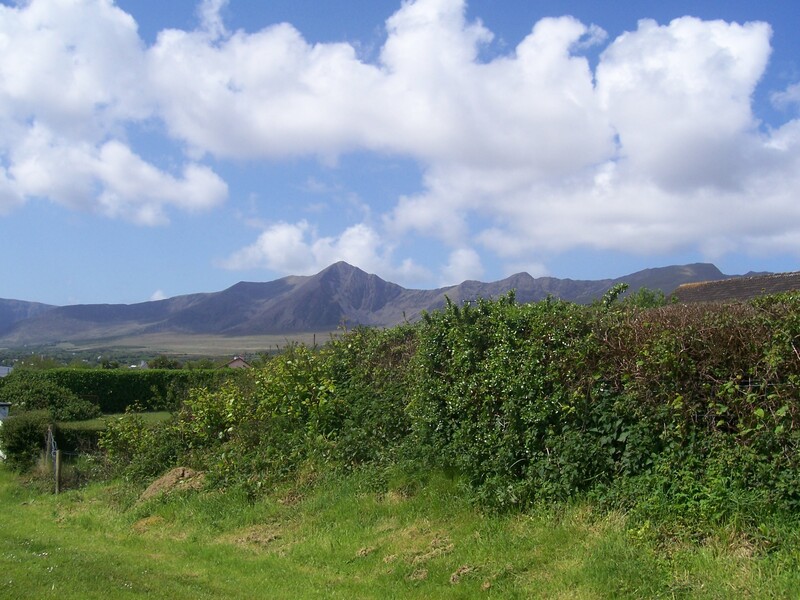 The house is about 600m from Cappagh Beach and is at the foot of Moun t Brandon, the second highest mountain in Ireland. It is 70 km from Killarney, 13km from Dingle, 2km from Brandon Village, which has pubs, food and a lovely pier, and 2km from Cloghane Village, where there are pubs, food and a local shop for groceries. Very cool. We have to come!